DunRite Windows & Doors is a family-owned business, which I founded in the early 1990’s. My name is Sal Sucato, and I’d appreciate the opportunity to come out to your home, and give you a cost estimate for your window and door replacement needs. We’re proud of our reputation for quality installations and customer service, and over twenty-five years of steady growth from referrals. Our commitment to you? Service first, not the sale. From the moment we arrive at your home or business, you can expect professional, expert service and highly competitive pricing. Our craftsmanship, attention to detail, and strong relationships with employees, vendors and suppliers speak for themselves. DunRite Windows & Doors installs product from multiple reputable manufacturers, all carefully screened for their quality and warranties, including Andersen, Thermatru, Milgard, Pella, Cascade, Masonite and more. We specialize in residential window replacements, exterior and interior door replacements, and new construction installation. Our wide range of products is designed to fit any budget and shape/size requirement. 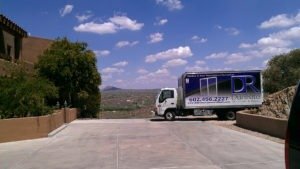 Unlike many window and door replacement companies, we only use employees to install product – never outside contractors. You can meet Tyler, J.J. and Doug here. Like family, they’re trusted partners who’ve been with us for decades. You can trust them–and us–with a job done right every time. Many customers also find it reassuring that as the owner, I am personally involved in every single job: customers are provided my direct phone number, just in case they would like to reach me at any point during the process. We will make certain your window requirements are taken in careful consideration to ensure the proper fit from installation frame requirements, product strength specification and a long term plan with the home. In decades of caring for the homes of local families, we’ve never exceeded the contracted amount in an estimate. You can be confident the amount in our estimate will be the same amount you’ll pay when the job is complete. Call today for your free in-home quote! Connect with us on Facebook or NextDoor!